Gobble, Gobble! 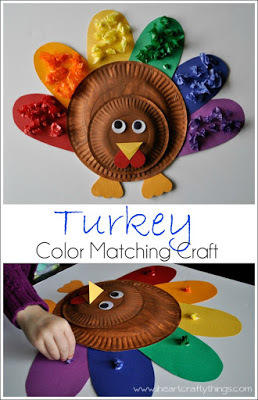 We are gearing up for Thanksgiving and having a blast making turkey crafts. 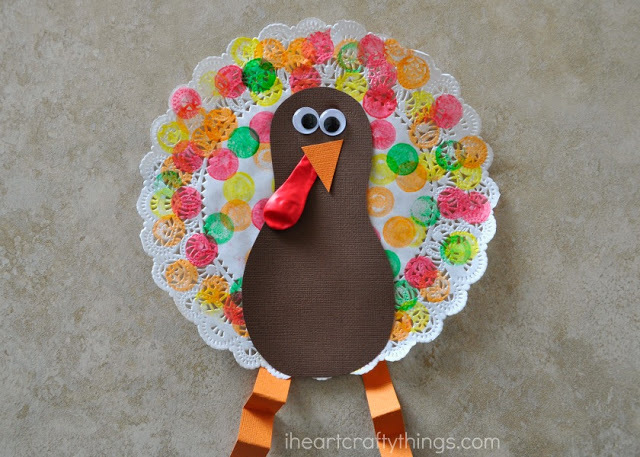 Our latest is this fun doily turkey craft for kids. 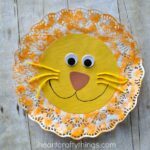 Using Dot Markers to decorate the doily makes it a perfect craft for even the youngest toddler crafters. 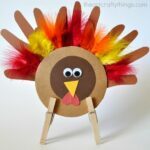 So gather round the table as a family, grab your supplies and get ready for some turkey crafting fun! 1. Start by using your Do A Dot Markers to decorate your doily. Use as many colors and put as many dots as you want. 2. 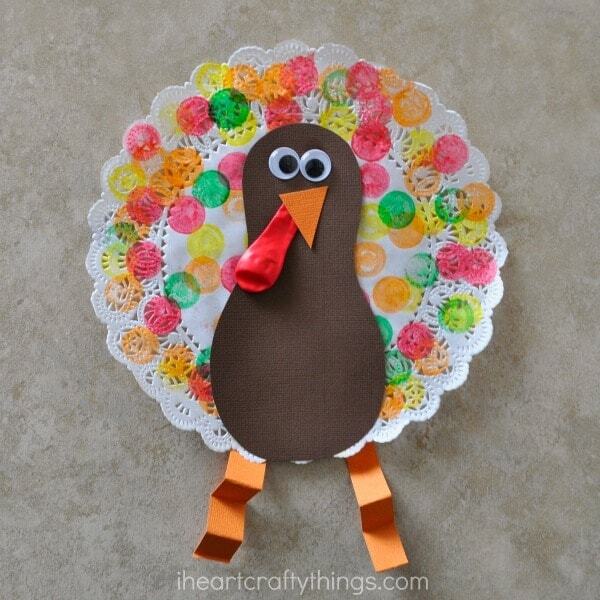 Cut a bowling ball shape out of your brown cardstock paper for the turkey body and glue it onto your doily. 3. Glue your googly eyes onto your turkey. 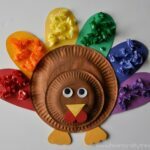 Cut the end off of your red water balloon (this makes it easier to glue on) and use a glue stick to glue it onto your turkey. Cut a beak out of your orange cardstock paper and glue it onto your turkey. 4. To finish your turkey, cut two strips from your orange cardstock paper, fold them accordion style and glue them on the back of the doily, so you have turkey legs hanging down. 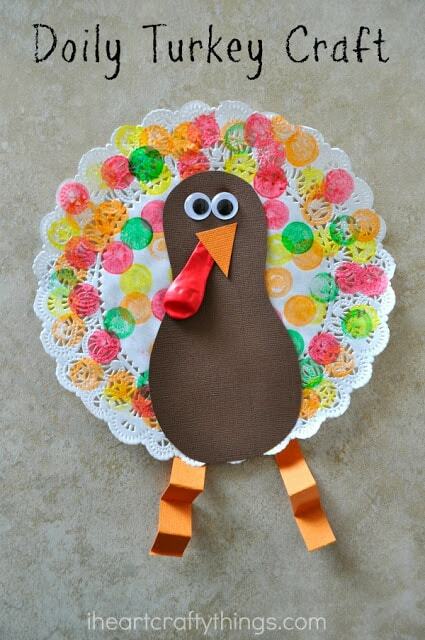 So I was looking at what crafts me and my little one could do for November and she picked this one! She’s so excited to do this one! Yay! I hope your little one enjoyed it! This is adorable! I noticed you said red card-stock was needed but I don’t see anywhere that we would use it. Unless perhaps instead of a balloon for the wattle. Am I missing something? Whoops! You are right. No red cardstock is needed. Sorry about that!